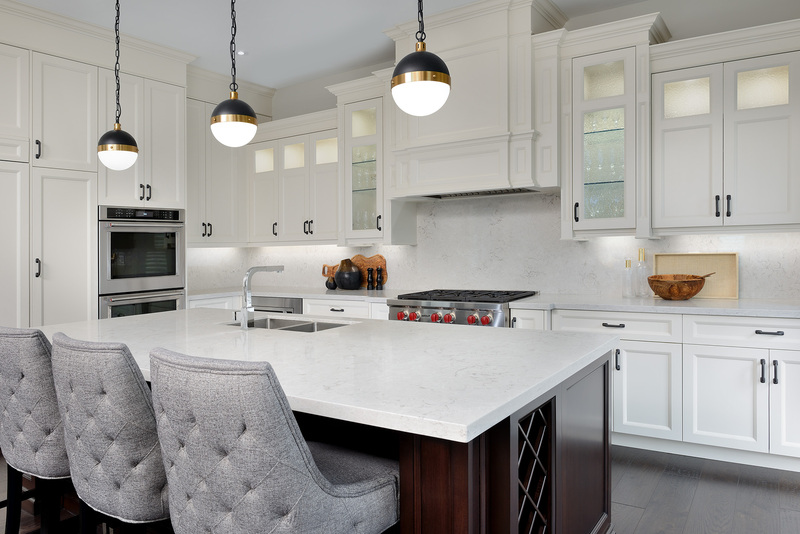 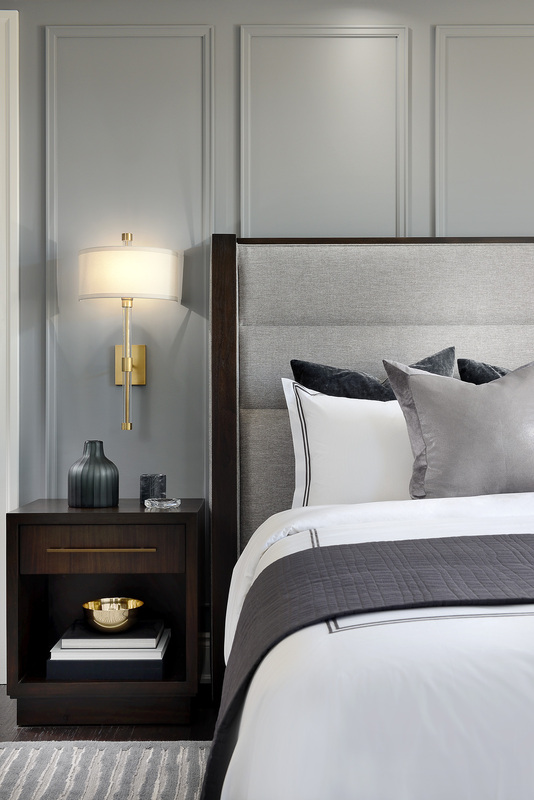 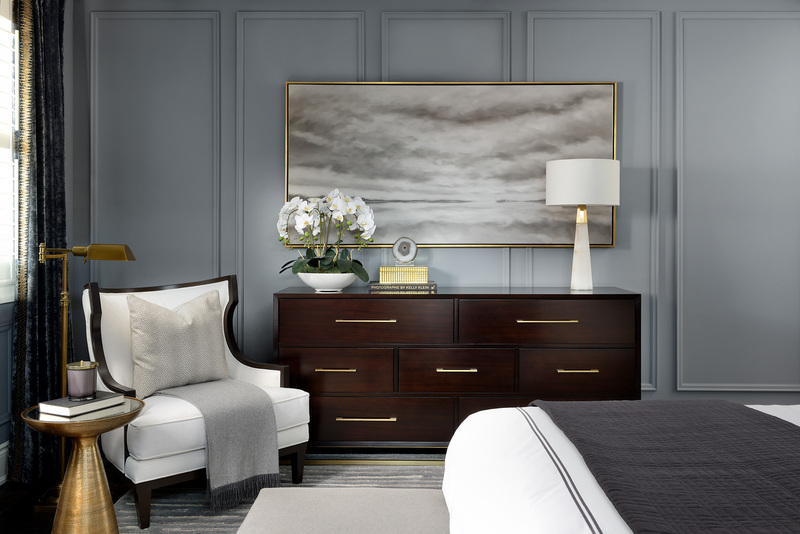 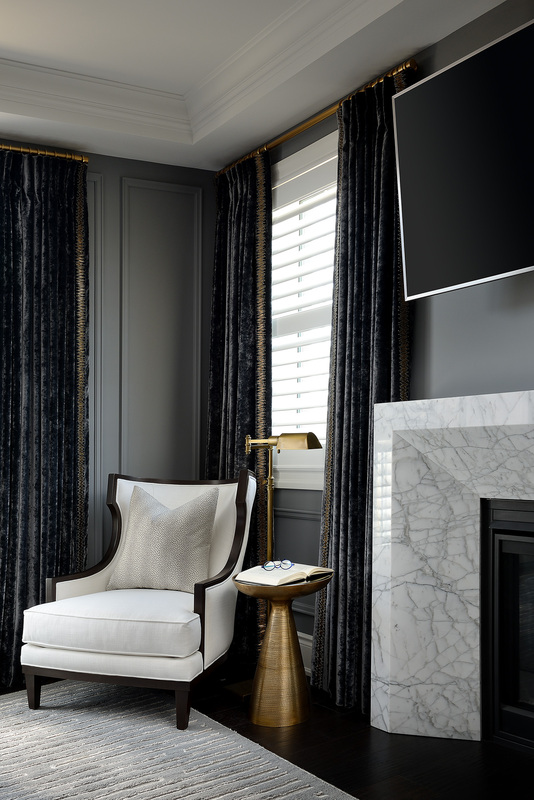 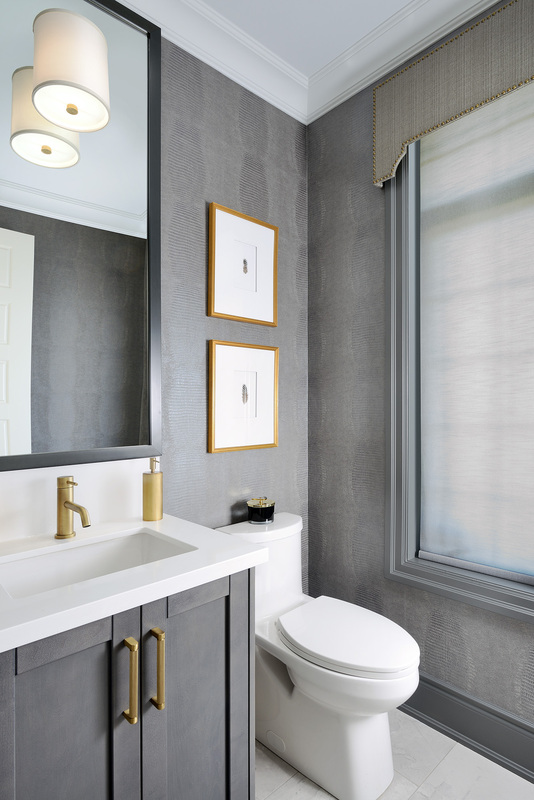 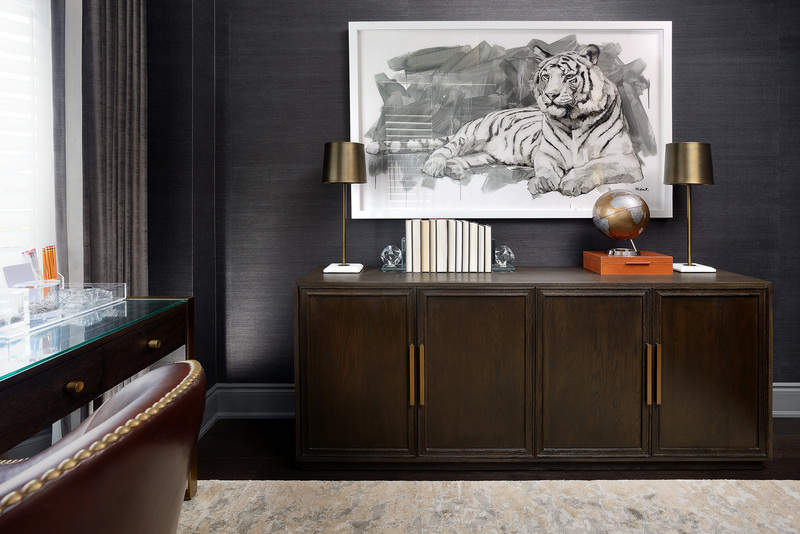 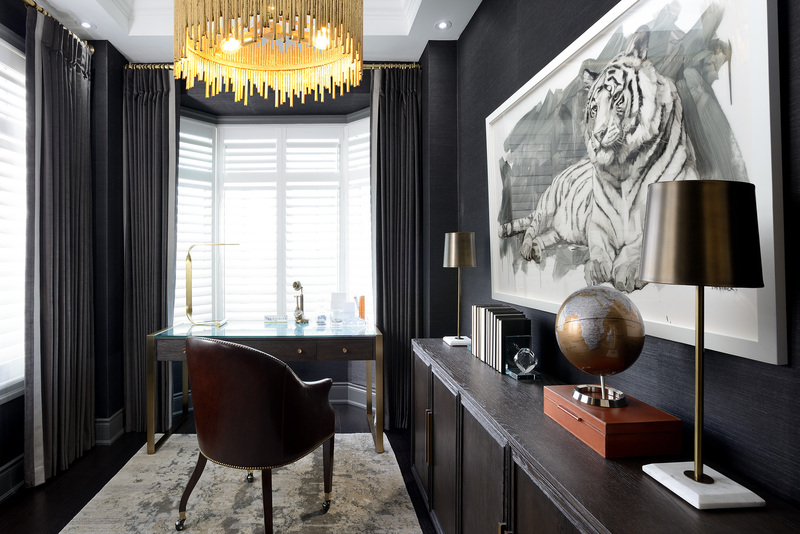 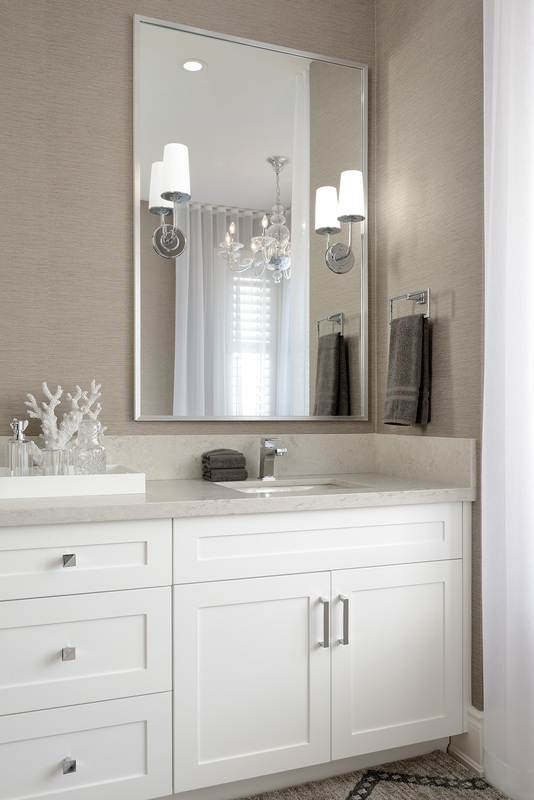 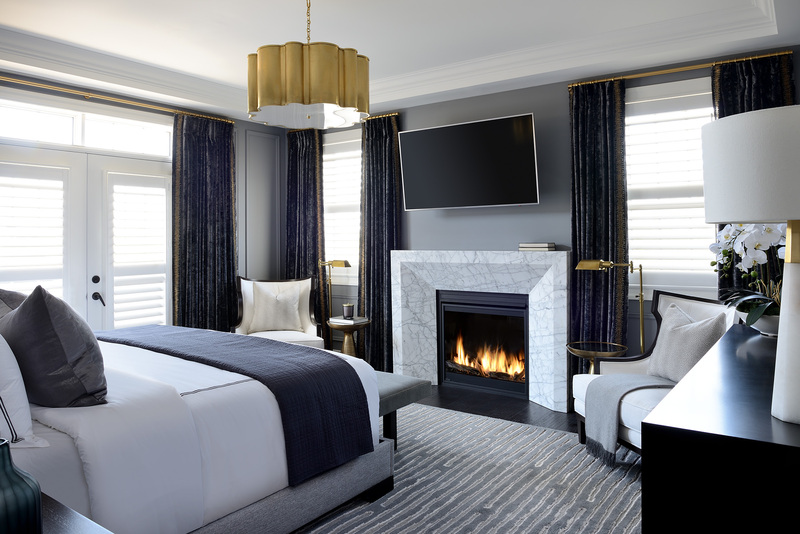 A neutral palette of multiple shades of grey provide the perfect backdrop for modern furnishings and Art Deco touches. 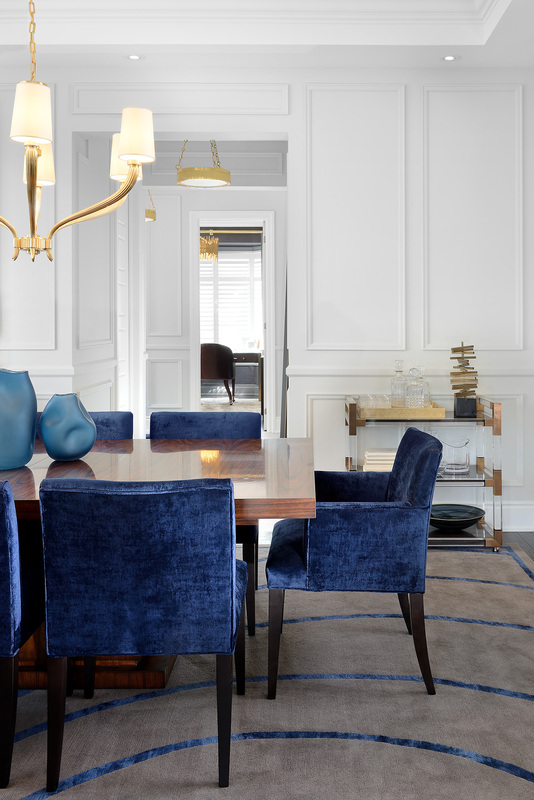 Masculine finishes are softened with sculptural soft brass lighting, and high gloss woods and silk carpets heighten the tension between mixed materials. 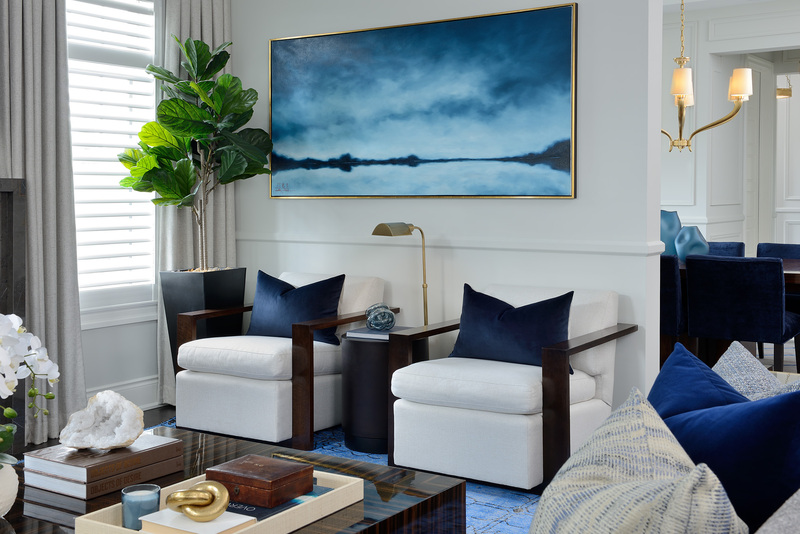 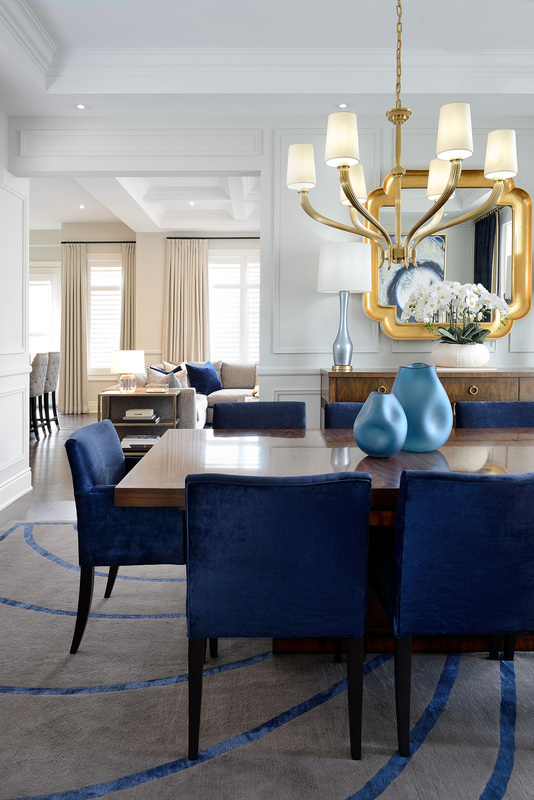 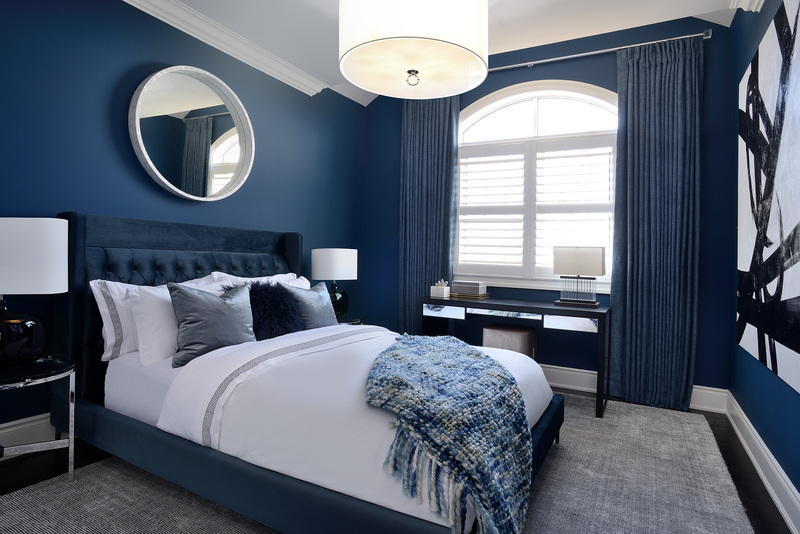 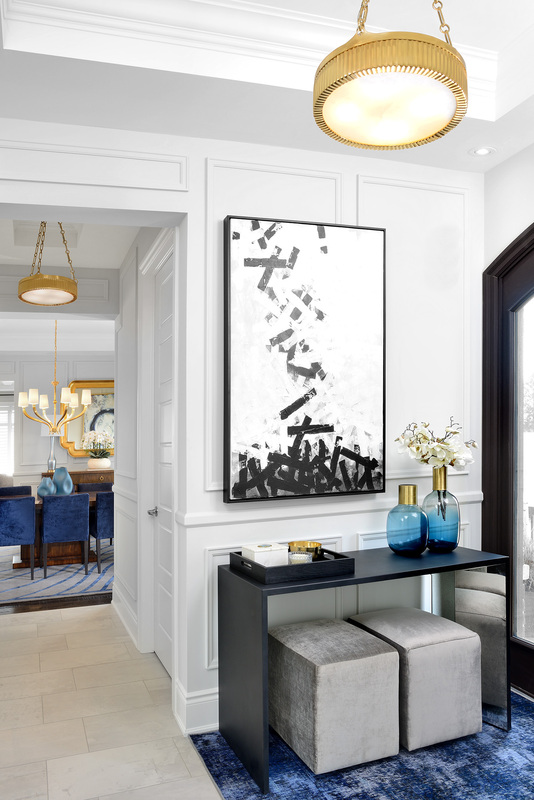 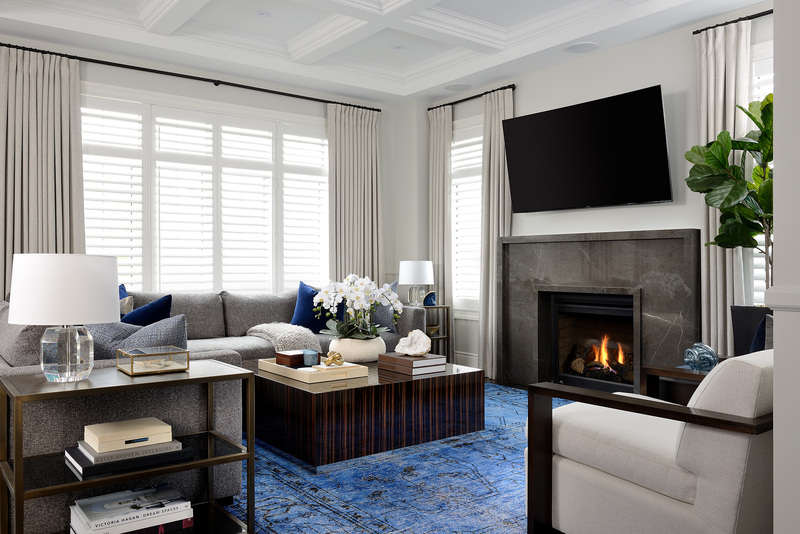 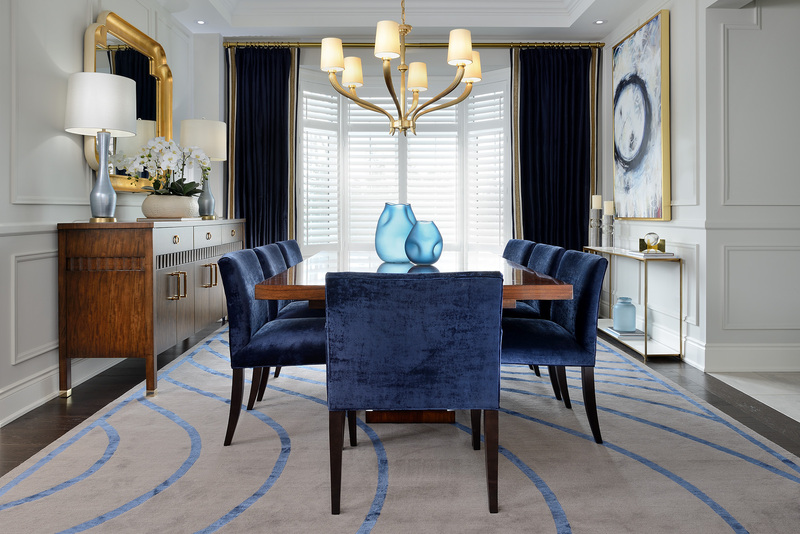 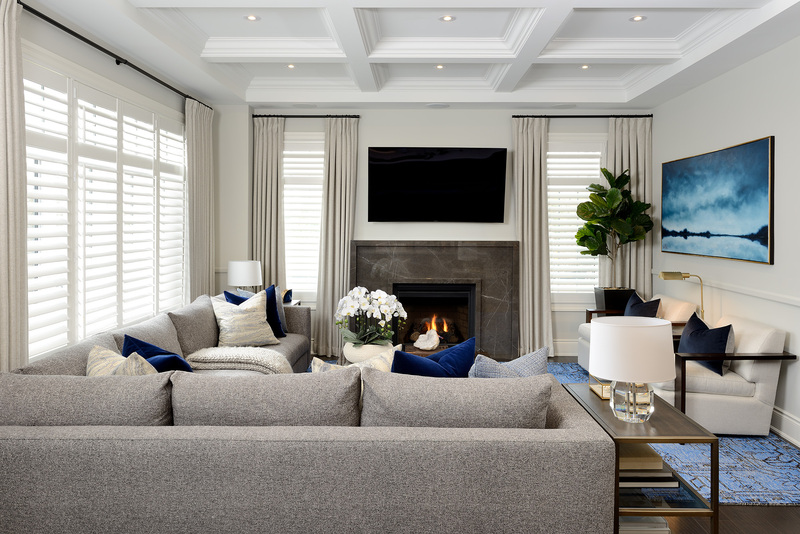 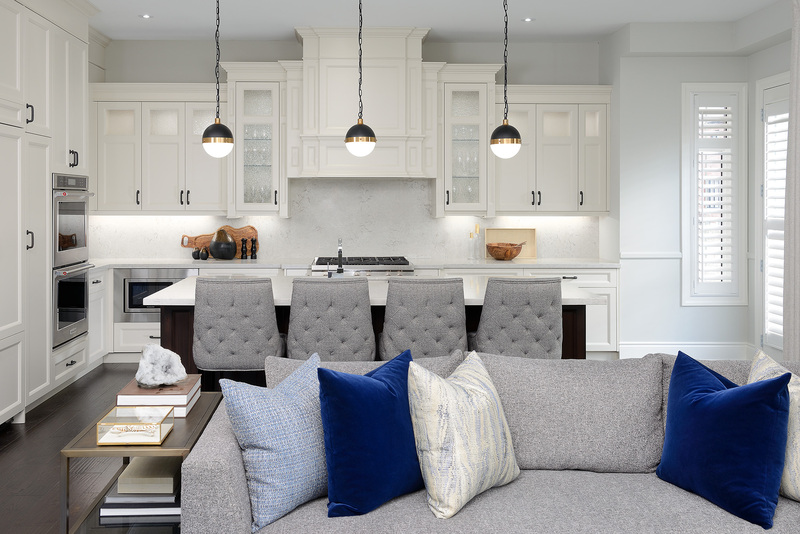 Navy and royal blue accents only encourage the overall regal feeling of the entire home, making it both sophisticated and welcoming at the same time.